The ANT MiM 20R is the matching single bodypack receiver for the MiM 20 in-ear systems. 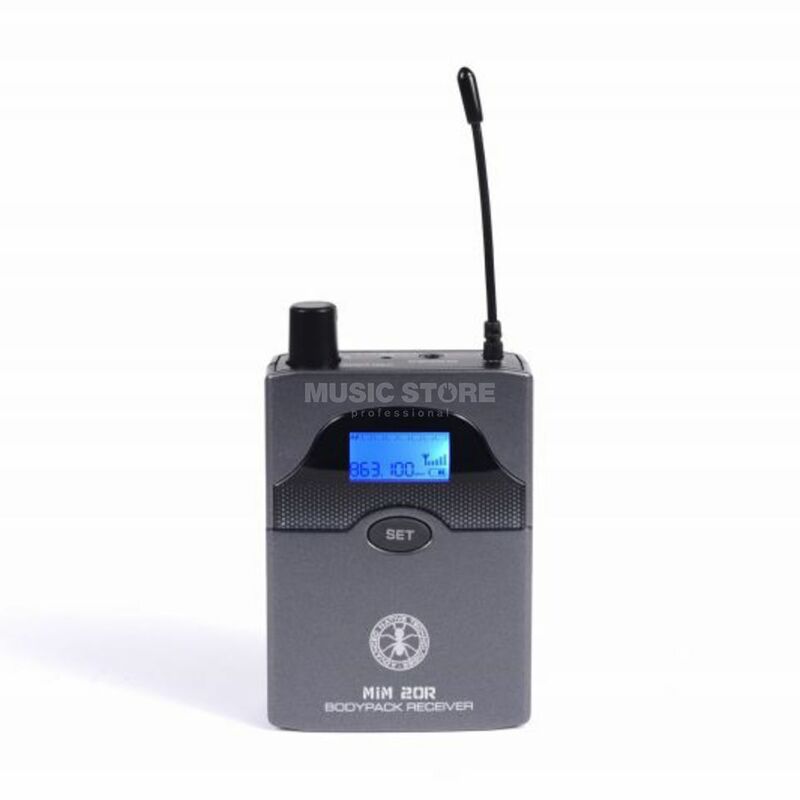 The bodypack transmitter is equipped with a volume control, headphone connection and an antenna. The system transmits in the "LTE center gap" UHF 823 - 832MHz and in the "ISM band" UHF 863 - 865 Mhz. It is only a single component, which can be purchased additionally for the ANT MiM 20 if required.